The backyard room is an extension of your home as well as yourself; that being said, it only makes sense to decorate with that in mind. 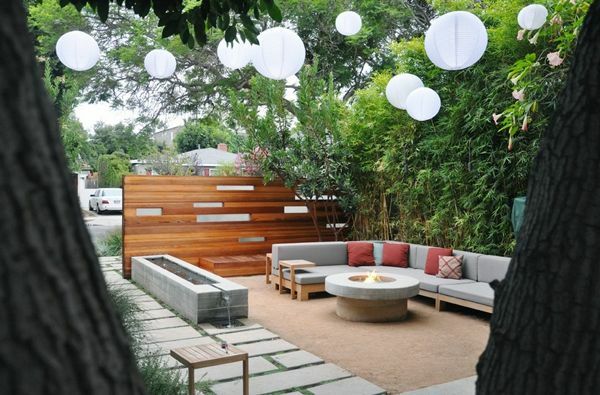 Similar to people, every backyard room has a different energy and overall feel. Have you ever noticed the feeling you get when something is right where it needs to be when decorating? That feeling comes from Feng Shui. The five elements of Feng Shui include wood, fire, earth, metal and water. The benefits for each of these elements in your backyard room are endless. Adding any or all of these five elements into your backyard decor will not only add eye catching beauty but it will also offer balance to your space and life. Wood represents growth, flexibility and creativity. By adding a reasonable quantity of this element into your backyard room you will achieve a more natural feel. In nature there tends to be an abundance of wood represented. Bringing nature into the backyard room will make your space more comfortable and will help heighten your overall backyard room experience. Incorporating the eye catching element, fire, into your backyard room will help invoke expressiveness, inspiration and strong leadership. These characteristics will encourage others to visit more often. After all, who wouldn't want to spend more time in your backyard room if they left feeling inspired? Strength, balance, and stability; these are all characteristics that are expressed when incorporating earthy eye catching elements into you backyard room decor. Whether it be something simple like adding a plant or even just adding earth tones, this element is a must to include in your backyard room. The smooth and sharp lines of metal offer mental clarity and stimulate the mind. A great way to enhnace your backyard room space is to add metal accents of various shapes and sizes. By doing so, your backyard room can achieve focus and inspire organization, all of which will add that extra eye catching element you need. Depending on where you live the noise of the outside world can sometimes interfere with your private backyard room sanctuary. 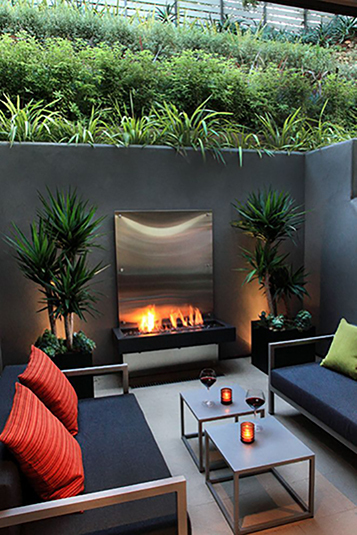 For that reason you want, no you need, to incorporate an element of water into your backyard room. The fluidity of water adds serenity, balance and inspiration into an otherwise drab environment. Adding an eye catching element of water is easily achievable and will heighten any backyard room experience. The addition of all five eye catching elements will bring balance into your backyard room and make your space more comfortable and enjoyable for years to come.